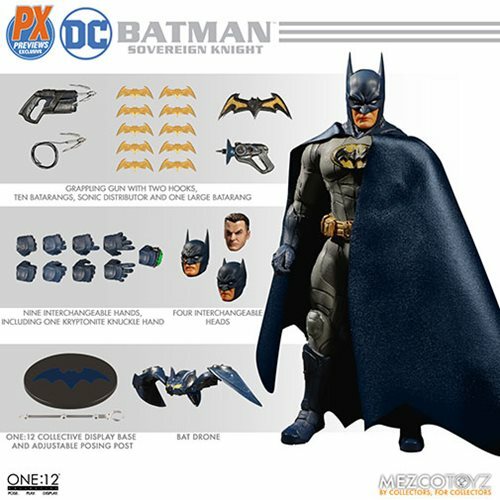 The Sovereign Knight makes his way to Mezco's One:12 Collective Batman trilogy! Sovereign Knight is the Batman of right now, in his prime. Bruce Wayne has enhanced his tech greatly from the beginning of his war on crime. The Bat-Suit has been augmented to provide more protection and greater mobility. His Batarangs honed, Grappling Gun upgraded and extra additions to his arsenal like a Sonic Disruptor, Bat-Drone and Kryptonite Knuckle Dusters. 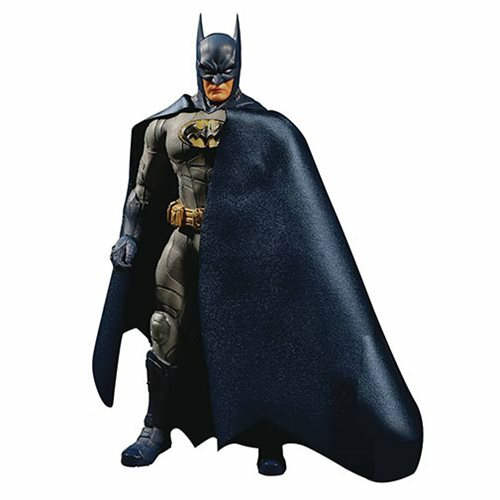 Sovereign Knight Batman features 30 points of articulation and is approximately 6 5/8-inches tall.